Maple syrup is produced primarily in the northeastern United States and Canada, where sugar maple trees are common. While sap from other maples and other trees can also be made into syrup, sap from Acer saccharum, the sugar maple that is the state tree of New York and on the Canadian flag, is the sweetest. Trees grow to 100 feet and live well over a century. They produce sap from the age of 50. 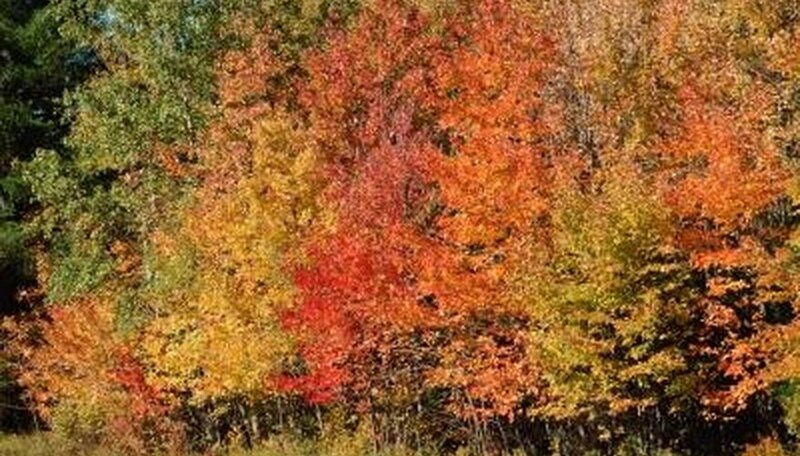 Sugar maples are one of 148 maple species in the Northern Hemisphere. They are native from Nova Scotia and northern Quebec west to Manitoba and Minnesota, south to Missouri and east to West Virginia, Tennessee and Georgia. A young maple tree produces a third of a gallon of syrup per year. One sugar maple averages 10 to 20 gallons of sap per tap, and it takes 43 gallons of sap with 2 percent sugar content to make 1 gallon of syrup. Three taps would produce 1 1/2 gallons of syrup annually. Maple trees should be 10- to 17-inches in diameter before being tapped, at around 50 years old. A tree with an 18- to 24-inch diameter can support two taps. Trees larger than 25 inches can support three taps during the six-week sap season. 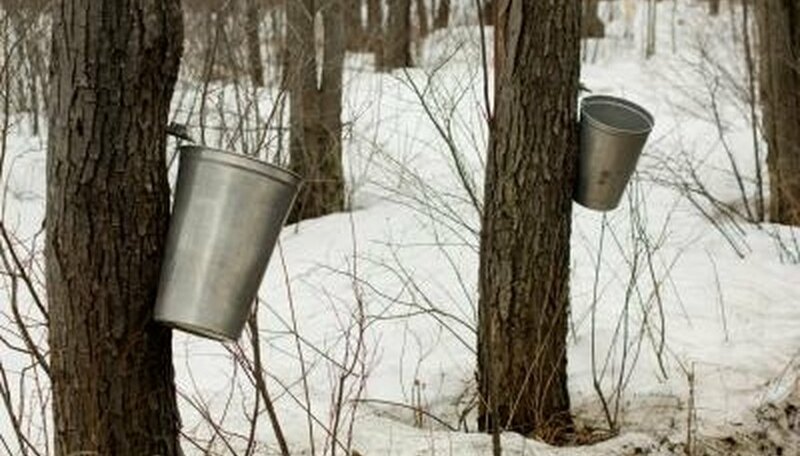 A group of sugar maple trees tapped for maple sap is called a sugar bush or sugar grove. They should be widely spaced to increase the amount of sweet sap produced annually. Sugar maples with large amounts of leaves exposed to direct sunlight make more sap. Those with large stems emerging from wide, deep crowns have a larger sap flow. A cycle of warm and cool periods is essential for sap flow during tapping season. Too warm or too cool temperatures reduce the amount of sap and syrup. Tapping removes 10 percent or less of a maple tree's sugar, an amount too small to harm a healthy tree under normal conditions. Sugar maples grow in nearly all soils, but for maximum sap production, they need deep, moist, well-drained soil with neutral pH and medium texture, like that found along glacial tills in the Northeast. Sugar maples do not grow rapidly, but are long-lived. They reach heights of 40 to 80 feet at age 50. Sugar maple trees average about 1 foot of height and 0.2 inch of annual diameter growth for the first 30 to 40 years. A 30-year-old maple might have a 6- to 8-inch diameter and be 30 to 35 feet tall. Families have tapped trees for several generations. Although growth slows greatly at 150 years, sap production continues. Old-growth sugar maple stands can reach 300 to 400 years of age.